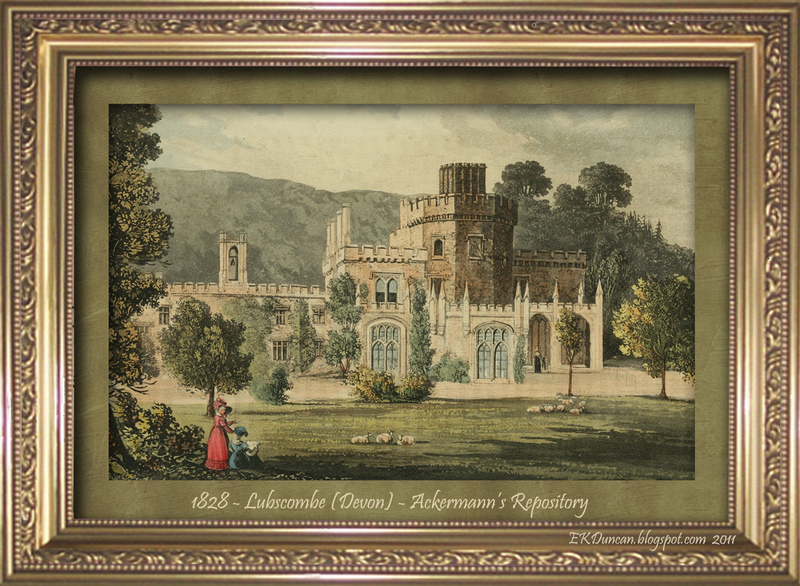 I thought I'd create another fun digital piece of artwork using some more of these great Ackermann Repository images. This time I've used one of the garden scenes from a country seat and two of the lovely Ackermann fashion plates. 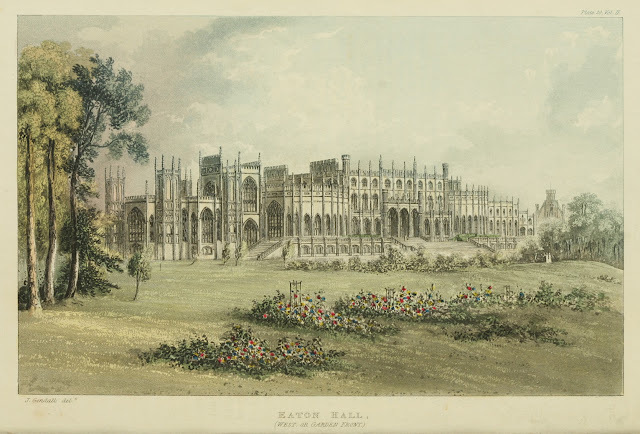 Halloween is almost upon us; so I thought I'd give it all a bit of a Gothic feel by using these specific images. The ruins on the Frogmore estate were the perfect backdrop for my midnight garden and I adore the lady with the cross as my main figure in the scene. 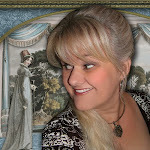 She looked a bit lonely out there by herself so I popped in a companion for her back on the trail so she would not be frightened. 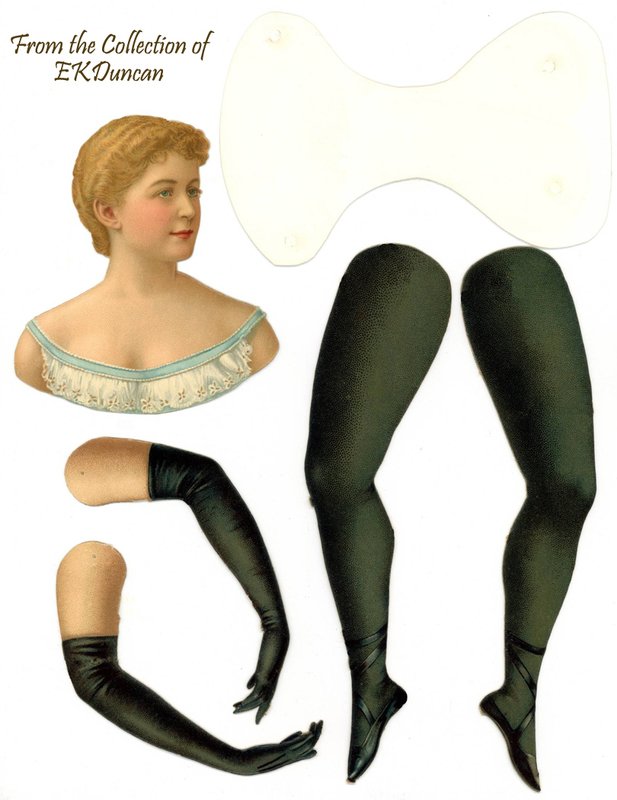 Here are the items I used to create the above scene. 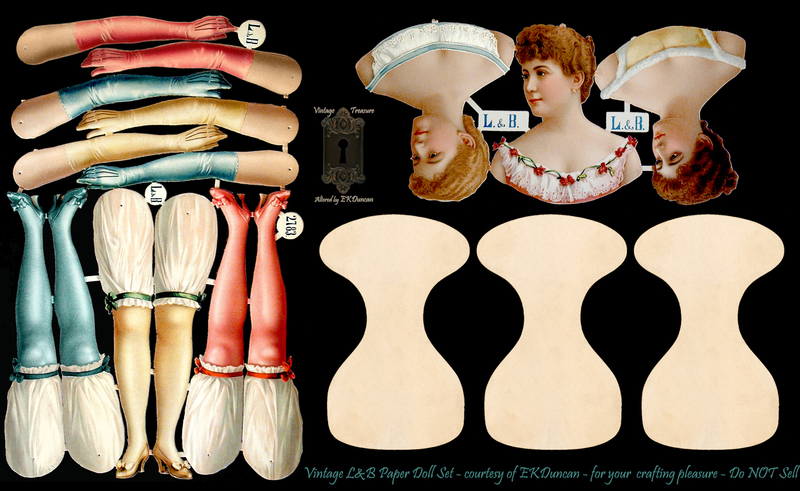 so the ladies can now be easily used in digital artwork compositions. 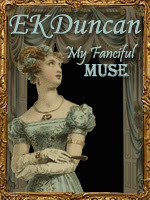 My main lady is from 1827. 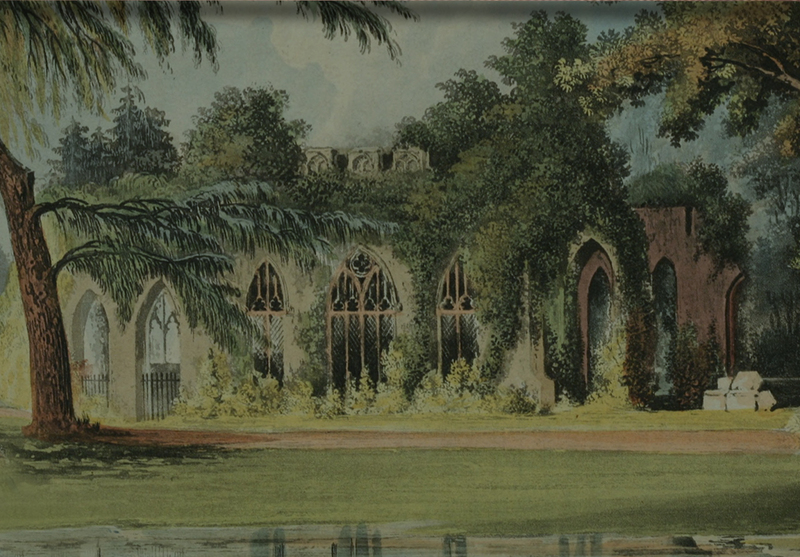 The big cross she wears seemed to tie in so well with the Gothic ruins behind her. 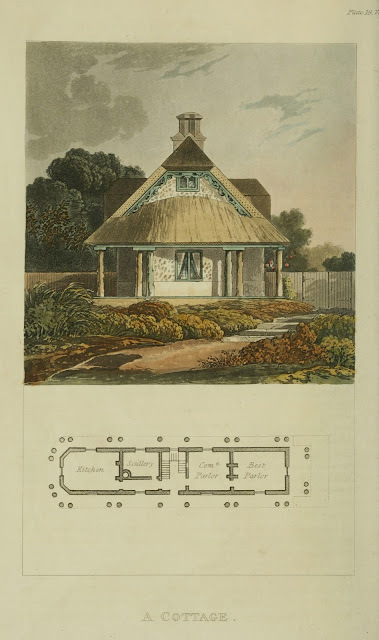 from Ackermann's Repository can be found by clicking HERE. 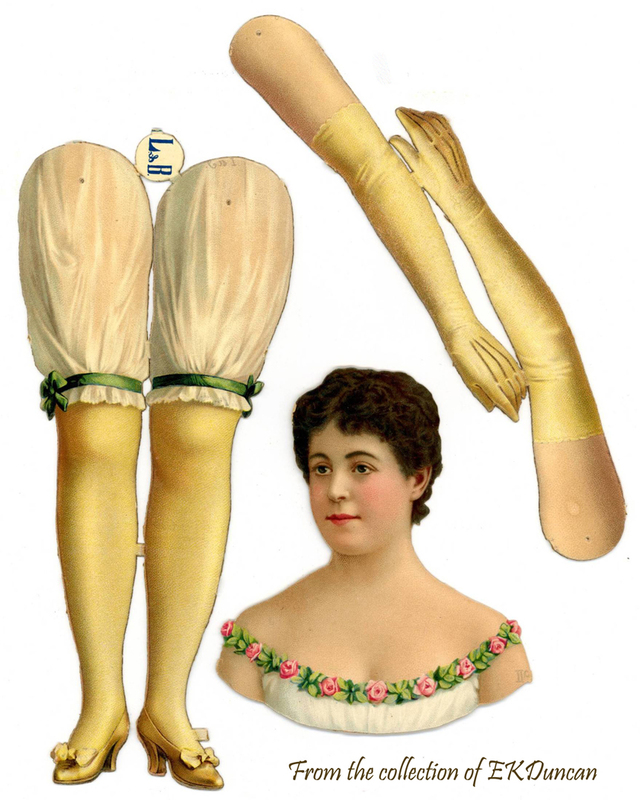 For her companion I chose this lovely lady. 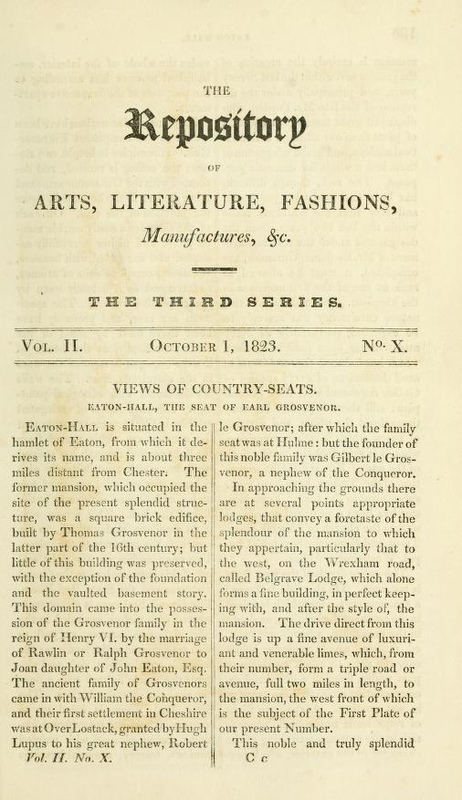 fashions from 1817 can be seen by clicking HERE. 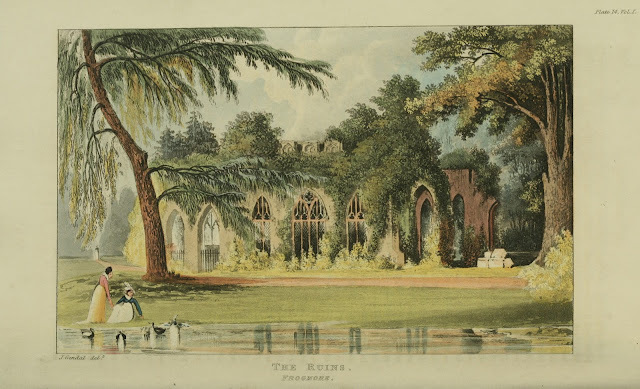 This image of the Ruins of Frogmore gave me a great Gothic backdrop. 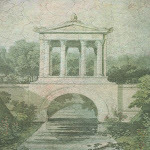 This is what the image looked like after a bit of manipulating in Photoshop. 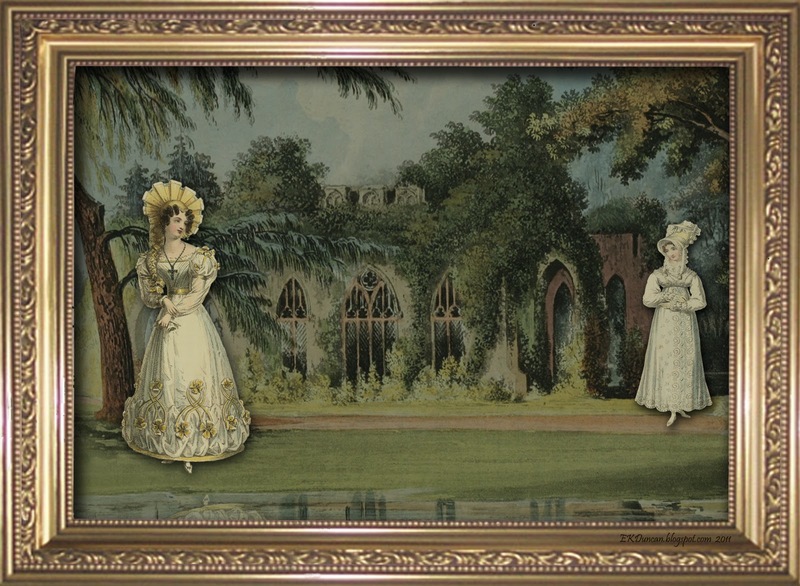 Now I have a more subdued backdrop for my midnight scene. 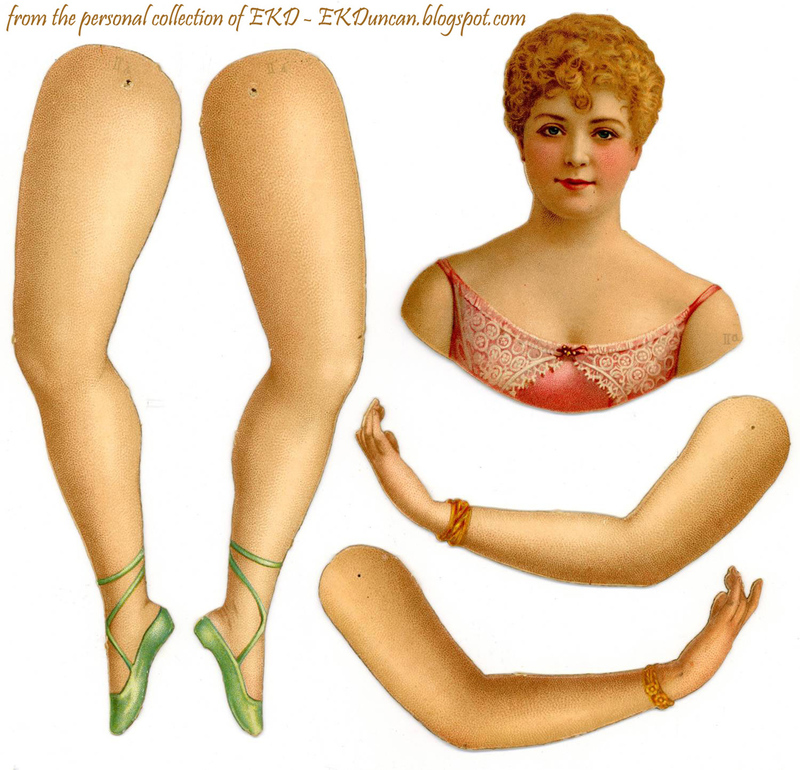 and I hope you guys will use them too. I've created using the Ackermann images. 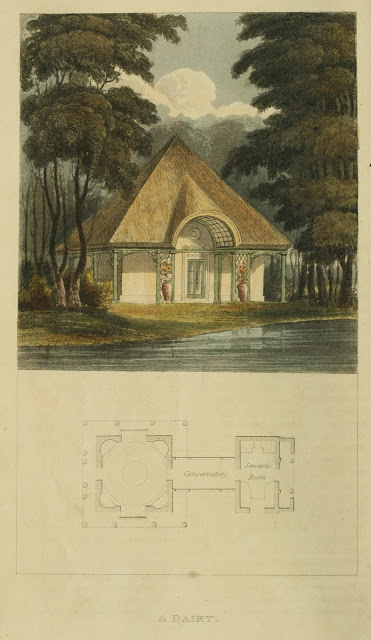 Ackermann Repository images I've posted. 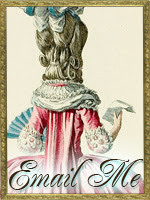 Curtains and Furniture Plates will be posted soon so please visit again. 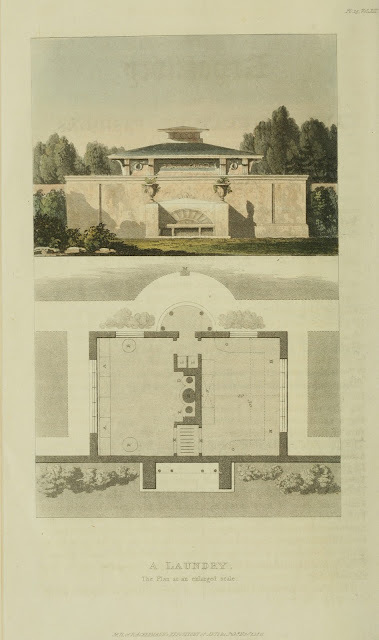 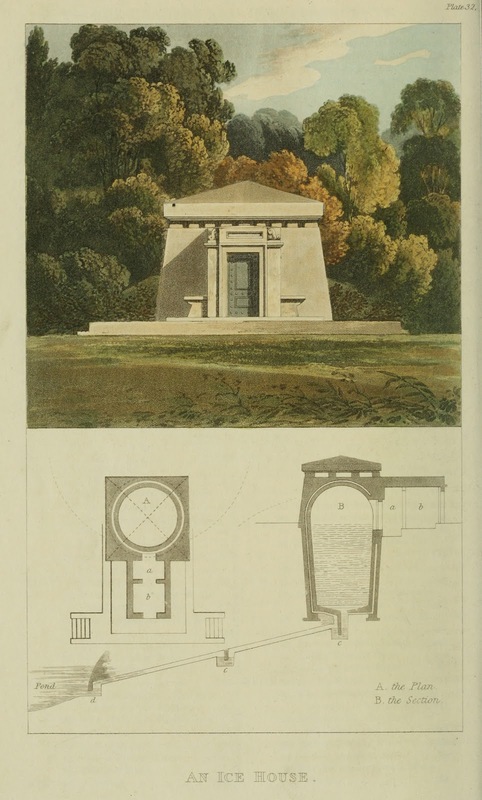 Ackermann's Repository had a very interesting architectural blueprint series of illustrations that were published from 1816 and 1817; with an additional 2 published later on in 1821. 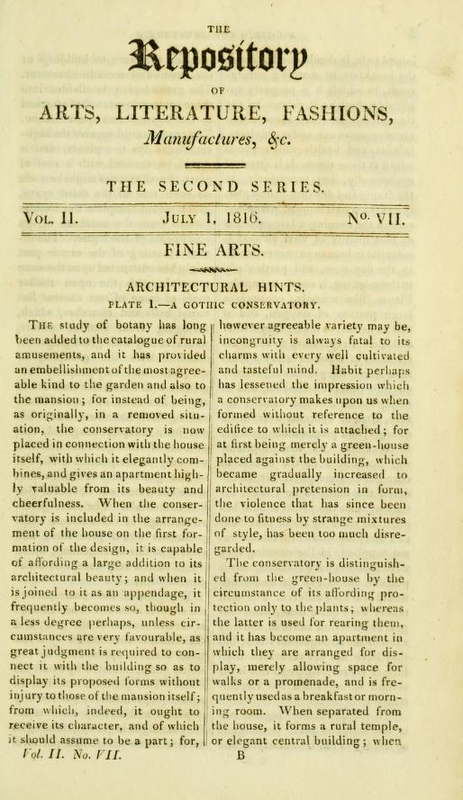 They called this series "Architectural Hints" and it was to inspire the beautification process on rural properties. 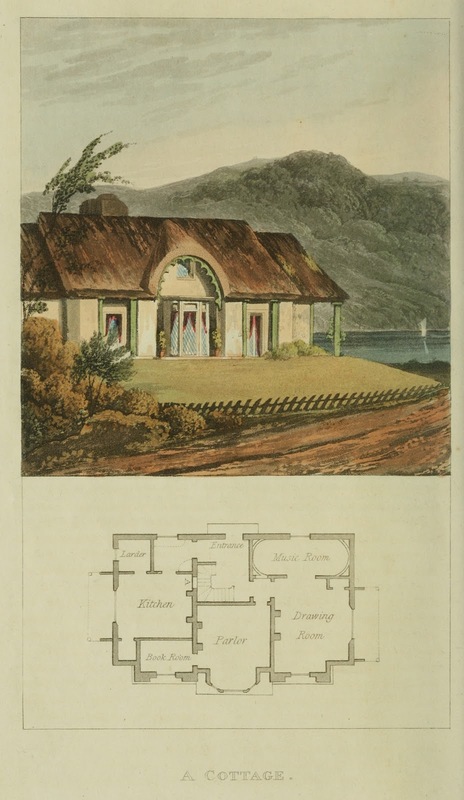 These include a variety of cottages, lodges, villas and a variety of other out-buildings. 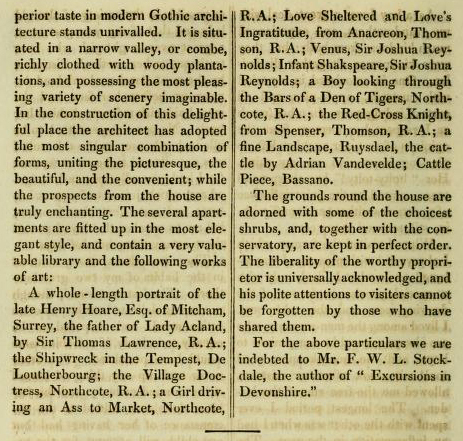 I believe Ackermann's used their monthly issues of the Repository to see what might prove popular for the book buying public. 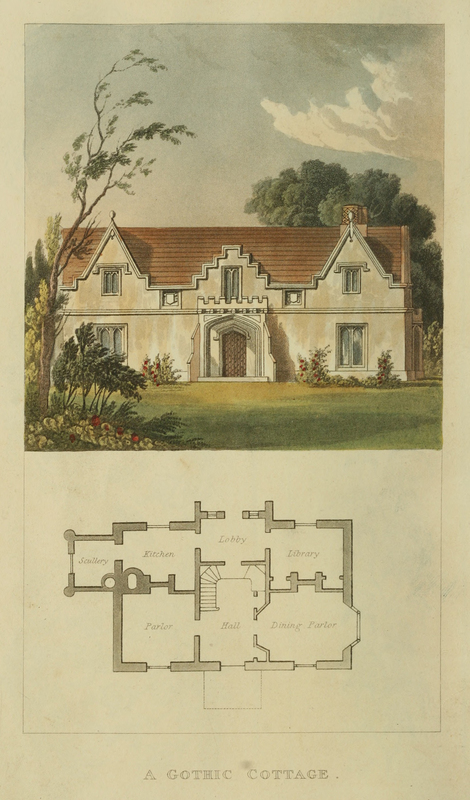 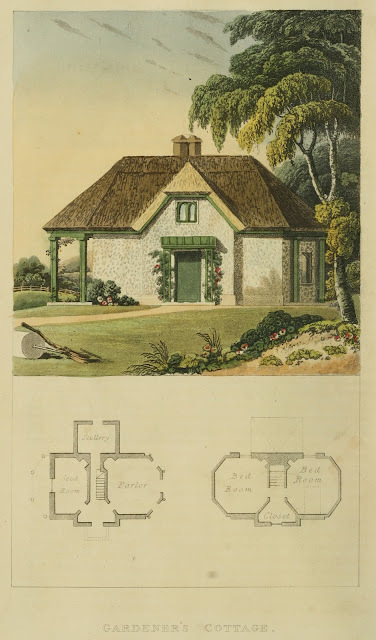 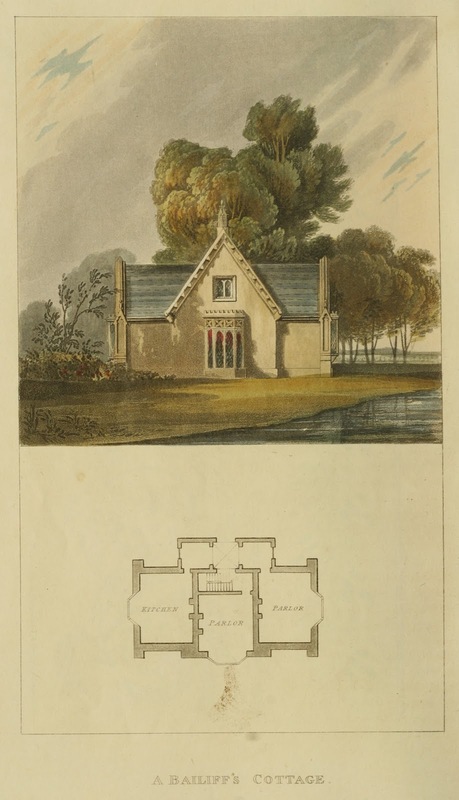 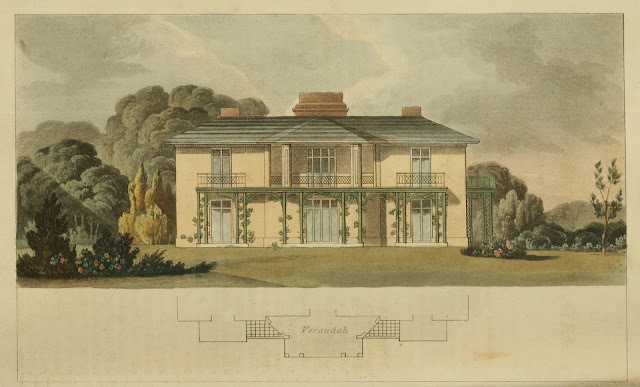 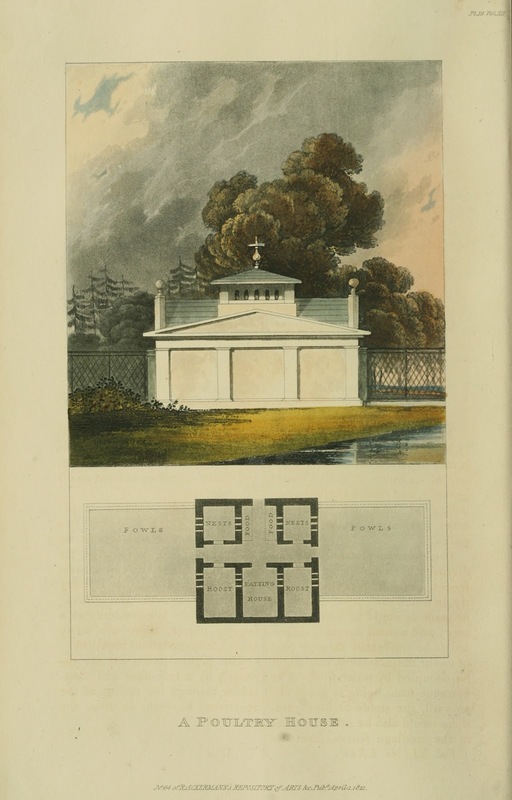 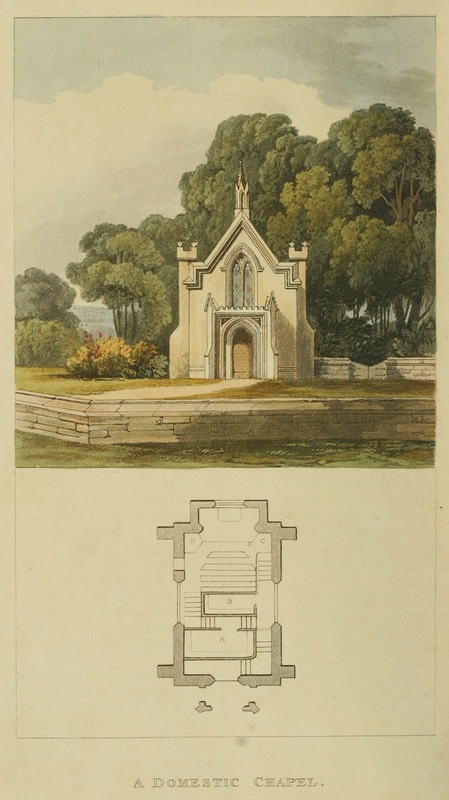 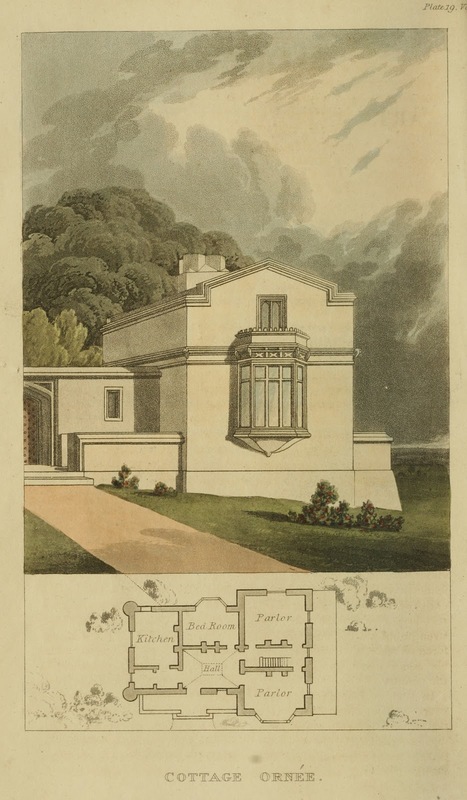 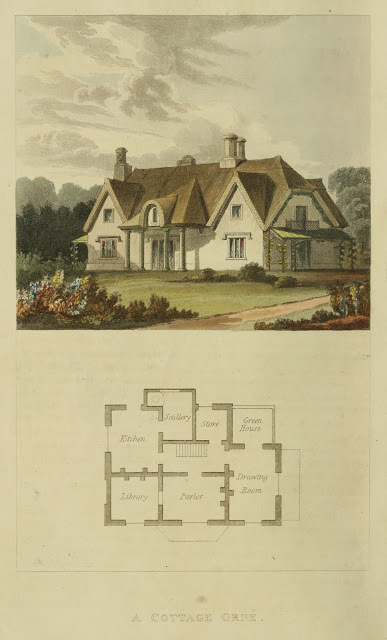 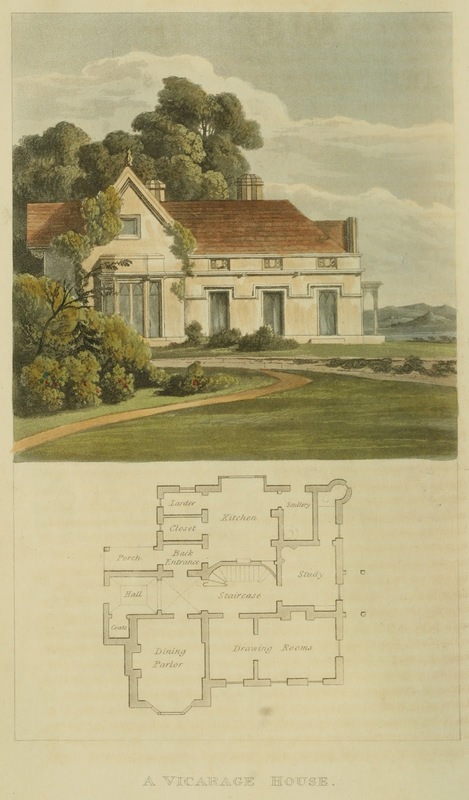 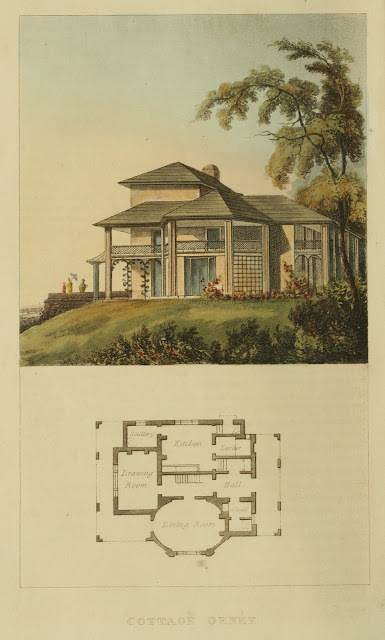 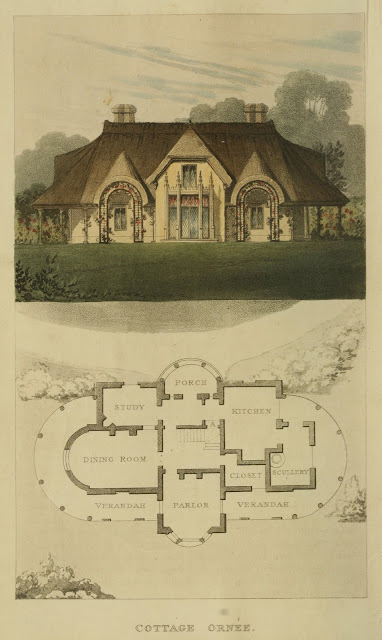 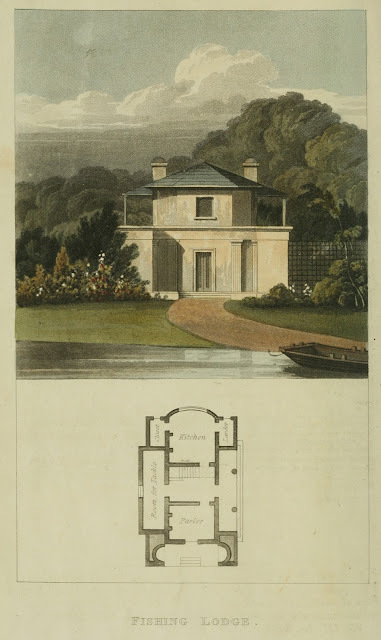 This series must have proven successful enough; since in 1818 Ackermann's published a book entitled "Rural Residences Consisting of a Series of Designs for Cottages, Small Villas and Other Ornamental Buildings" using these images. for Garden Buildings, Useful and Decorative". 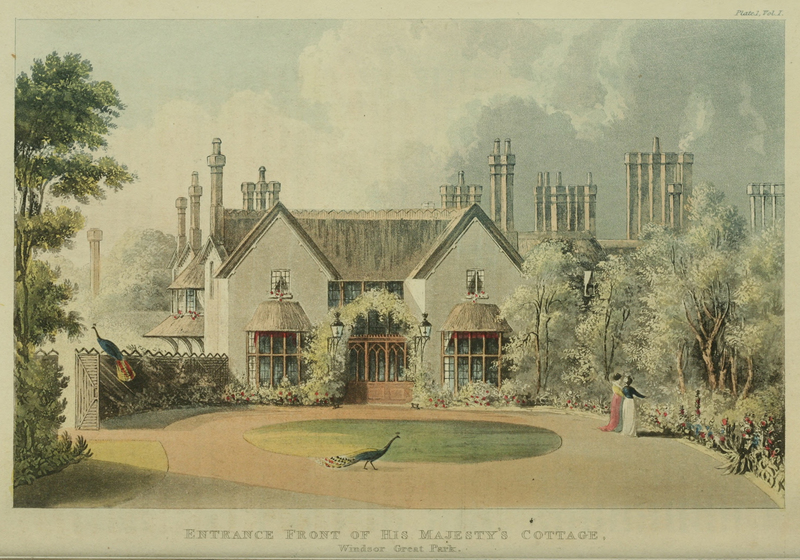 his images and finding a new audience to purchase them a second time round. 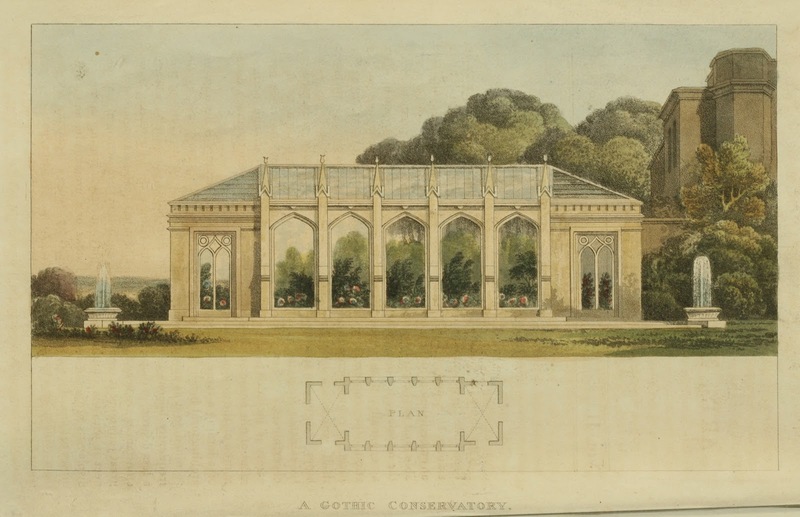 Gothic Architecture had a resurgence in the Regency period as shown with this 1816 conservatory. 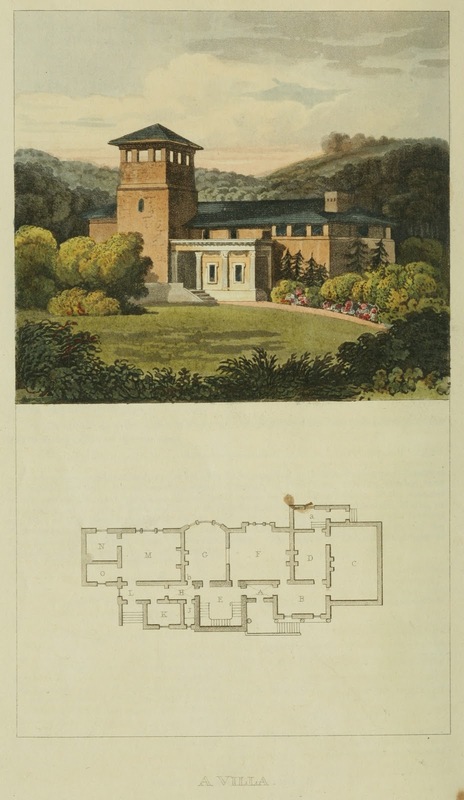 in the July 1816 issue of Ackermann's Repository. 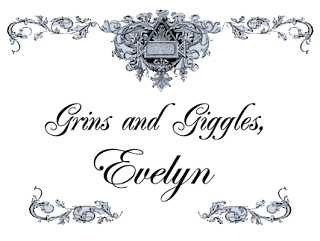 I love being able to have these beautiful image to play with; but I'm most especially thrilled to have the blueprint layout. 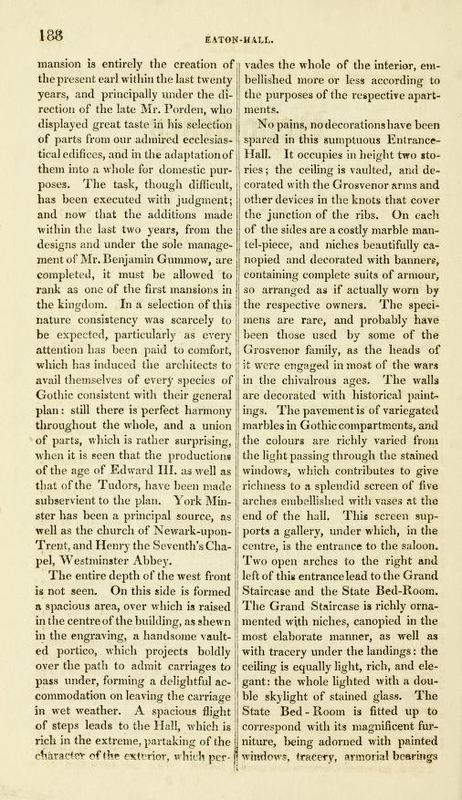 I enjoy having an idea of what the interior rooms were and how they were situated. 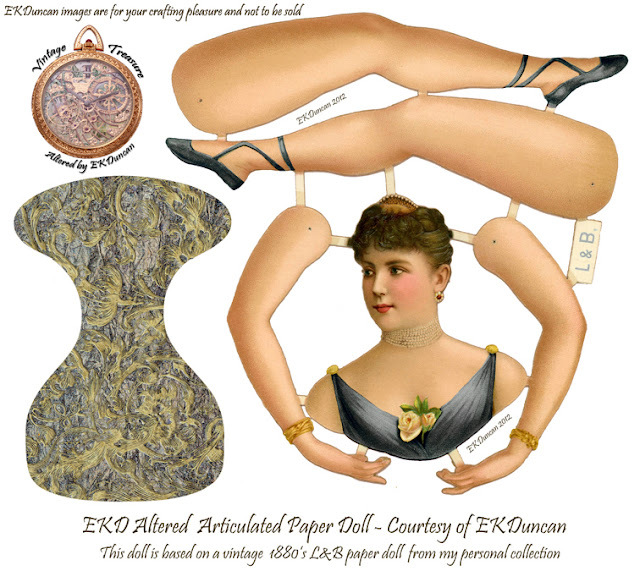 It's just another of those tidbits of information I find fascinating and I hope you do too. from the pages of Ackermann's Repository. 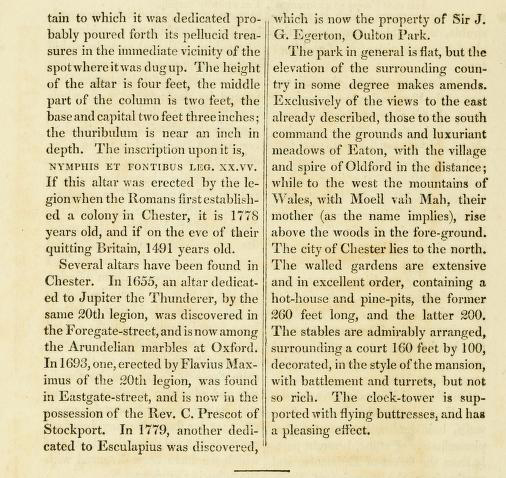 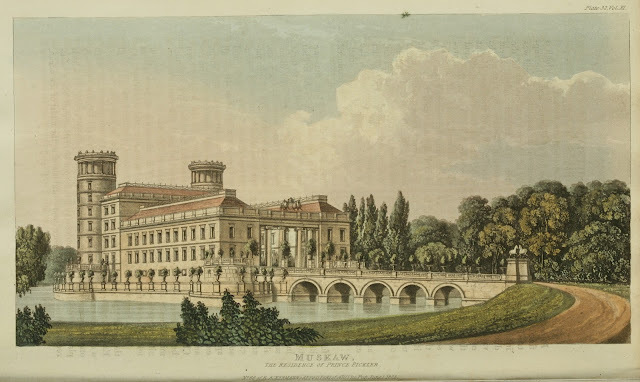 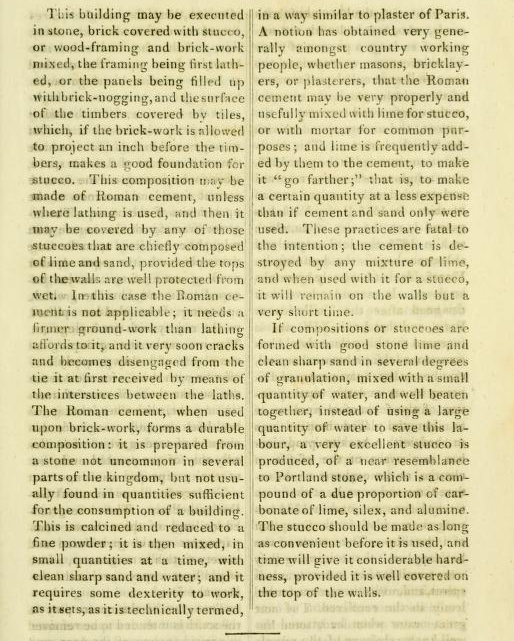 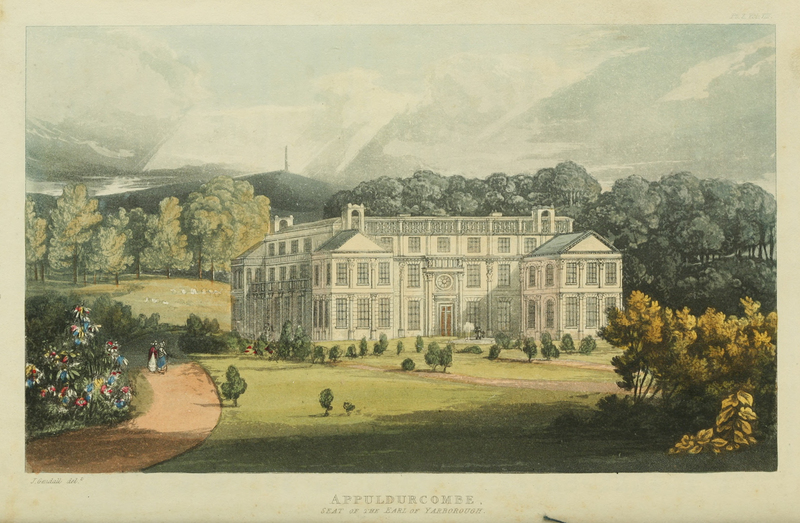 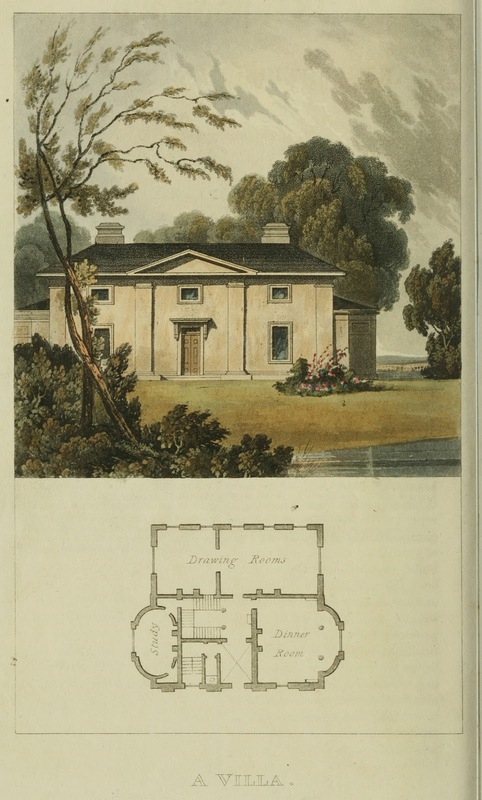 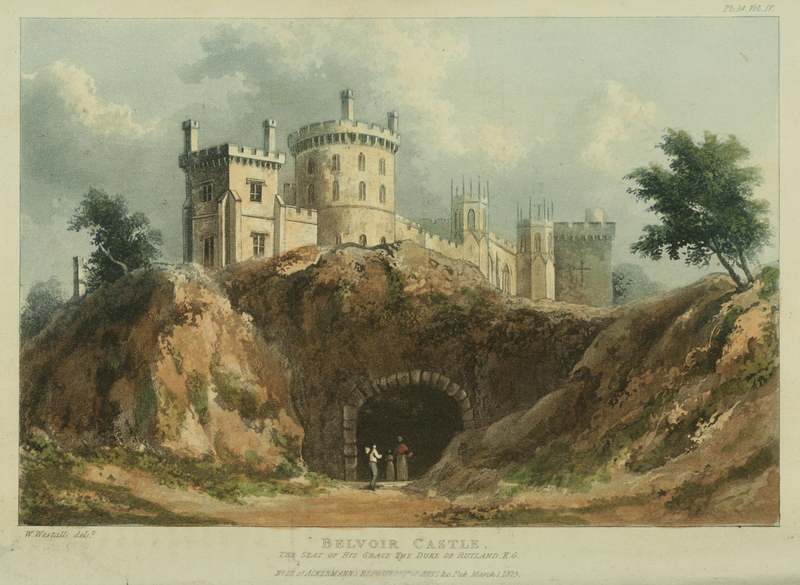 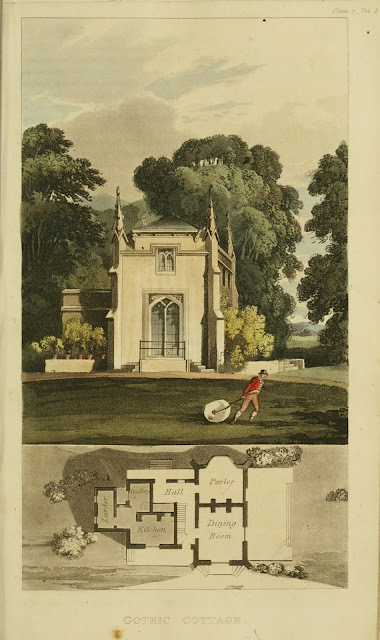 Ackermann's Repository did an extensive series in the 1820's regarding Country Seat Estates. 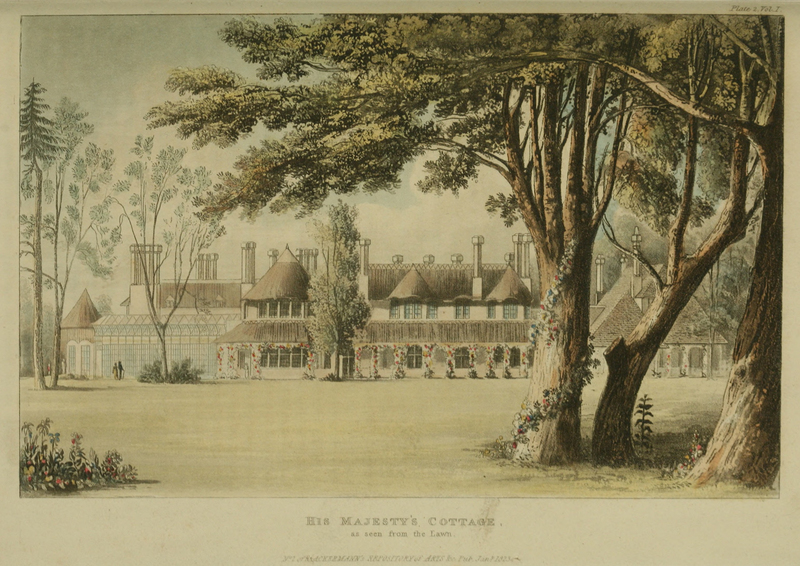 on Mansions of the Rich and Famous. 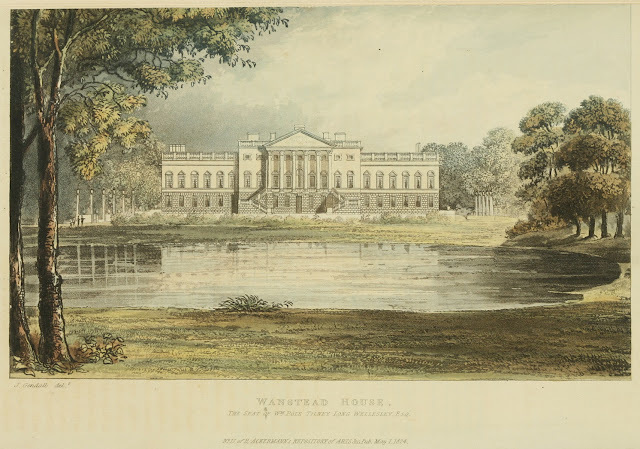 In Regency England the members of the peerage and holders of a title would usually have a "Country Seat". 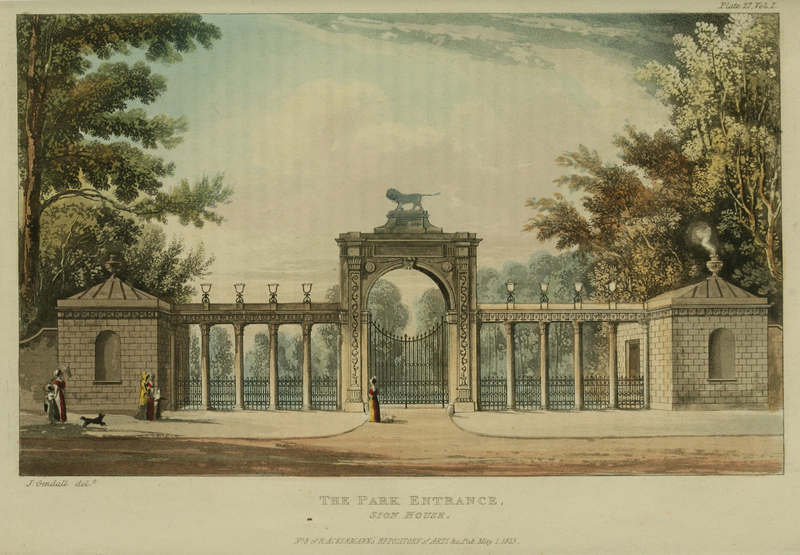 Engaging in "trade" was considered a taboo for the gentry, so many of them obtained their income off the land via their estates. 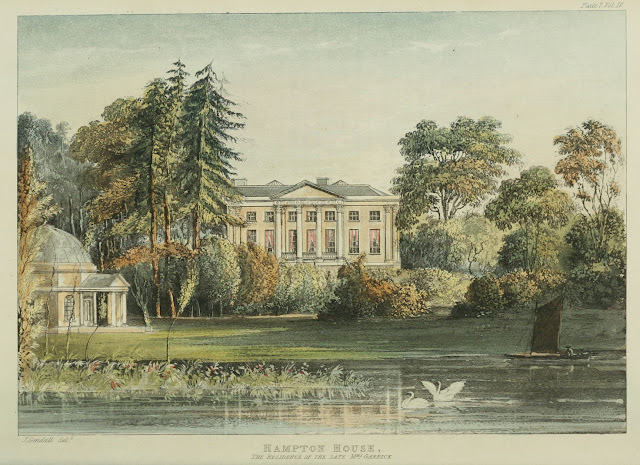 Those enterprises necessitated the best profit from those working the lands surrounding their estates and the home base of these operations would normally have been considered the Country Seat. 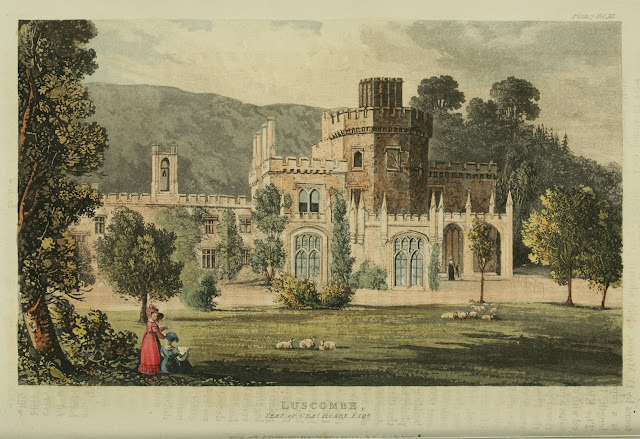 In many cases, these estates were of such significances to a titled lord, that they were entailed properties that could not be sold or gambled away; therefore insuring that they remained in the family at all costs. 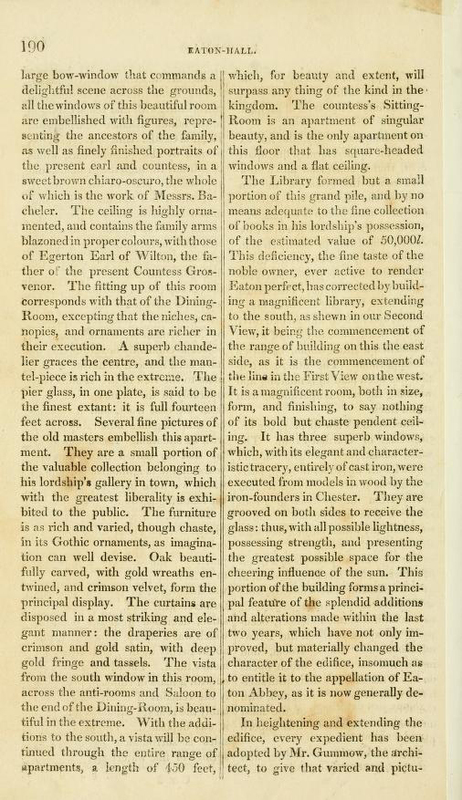 for those without title and rank but of great fortune. 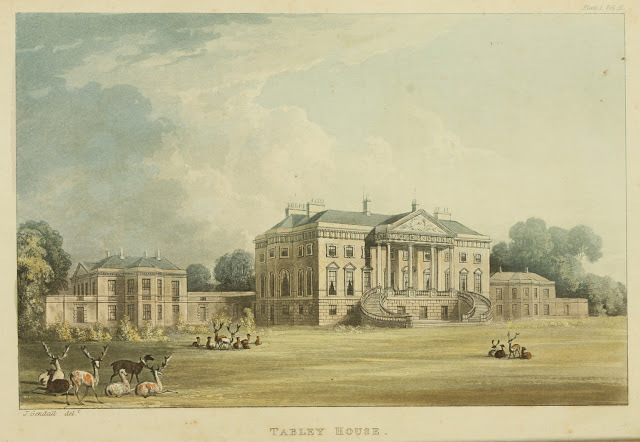 Military, Medicine, Law, Banking and Investment Speculation. 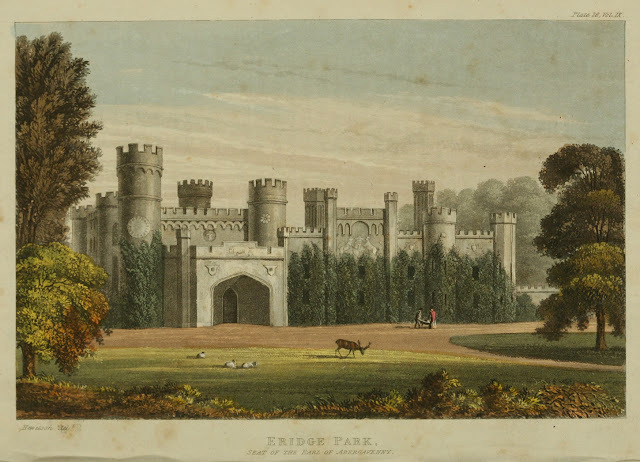 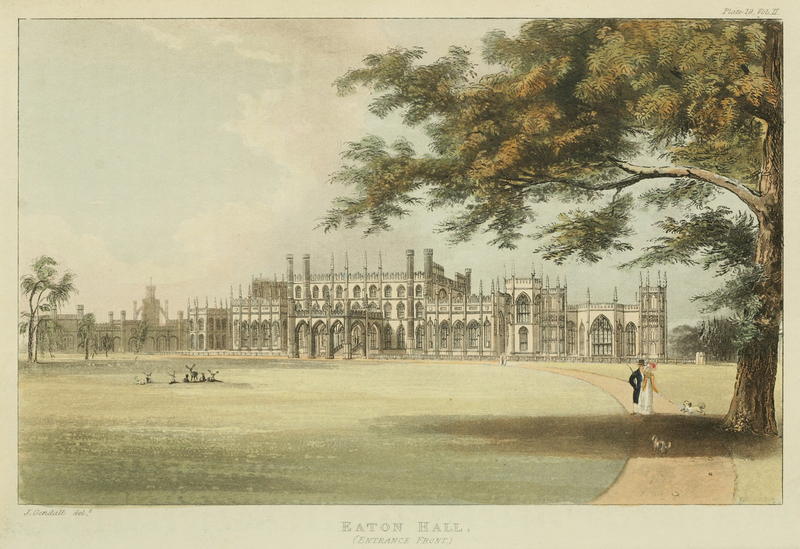 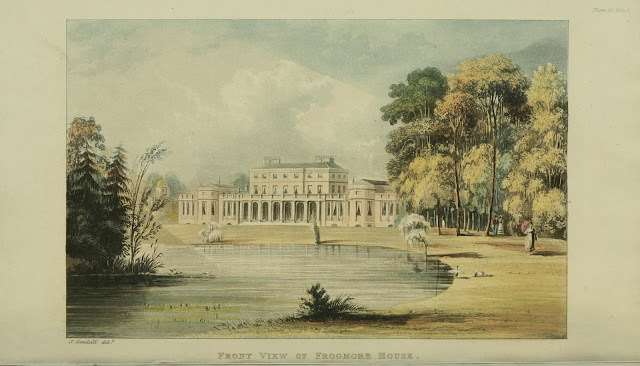 I read a lot of Regency romances, and many of those books include homes and estates with Hall, Priory, Lodge, Abbey, or Park as part of it's name. 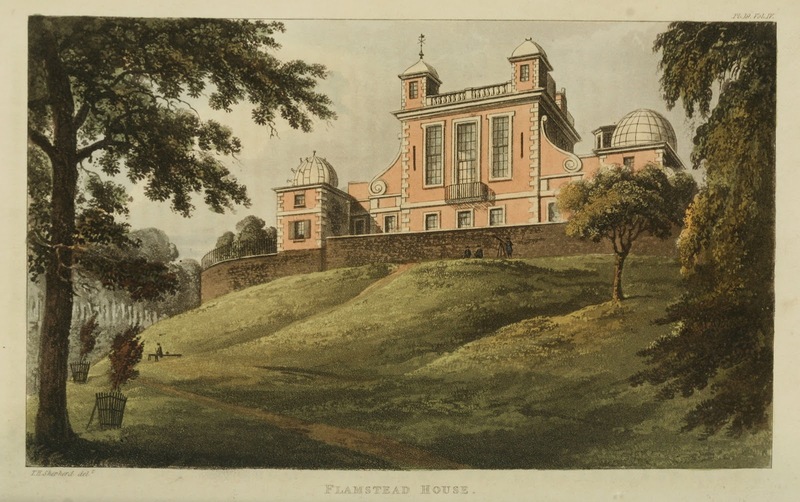 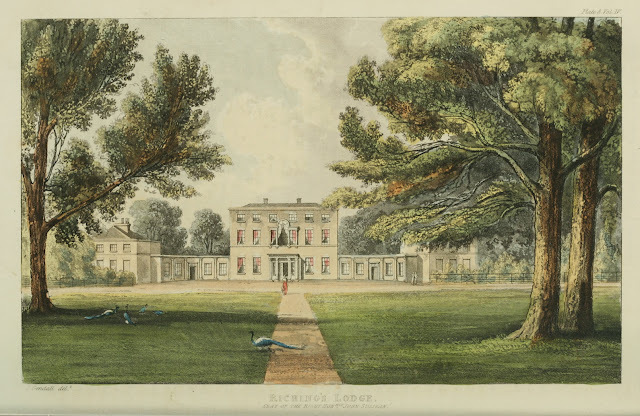 I found it most educational to view a variety of estate homes with these names as part of their title and to see what one might have actually looked like in Regency times. Ackermann's always included information for each of the Country Seats depicted. 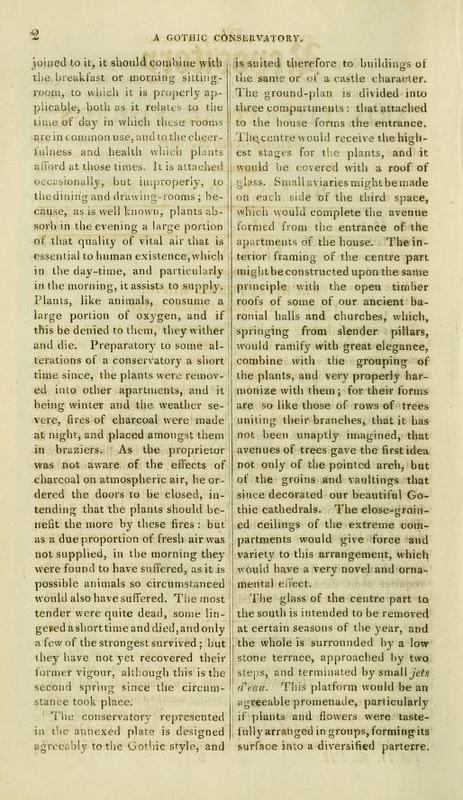 Some of the articles were brief and to the point while others were very elaborate and informative. I guess this depended on the importance of the person who owned the estate and/or the history of the estate itself. 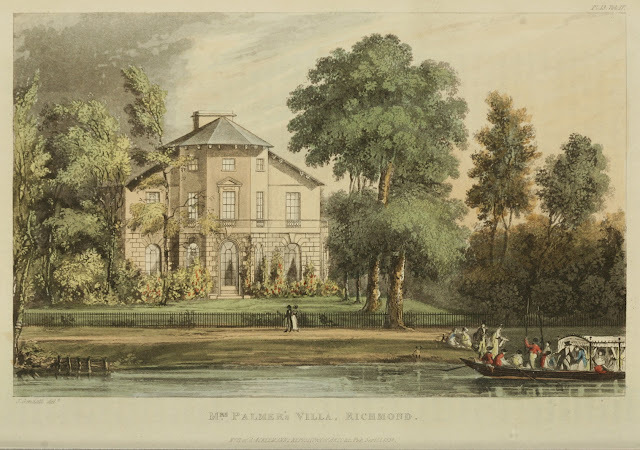 Many of the estates shown hold an interesting historical past that have connections to previous British nobility and were then purchased in Regency times by men of great fortune but little or no rank in the British aristocracy. 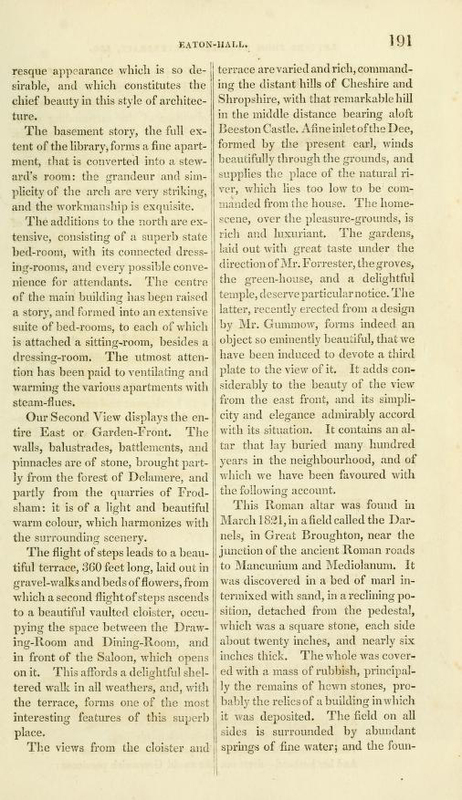 quality visiting an area to request permission to tour a great home of interest. These articles may have proved useful for those who were so inclined to request a "visit". 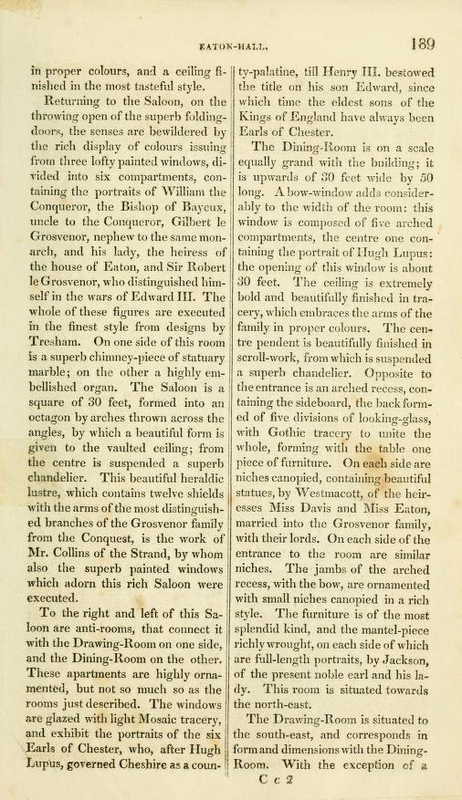 Here is another article of a Country Seat; however this example shows a more in-depth account. 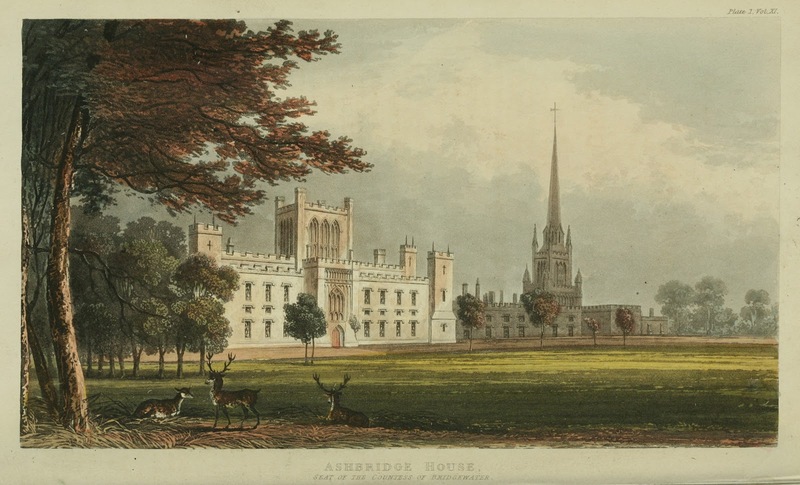 I've only chosen to show 36 of the more interesting and attractive views. 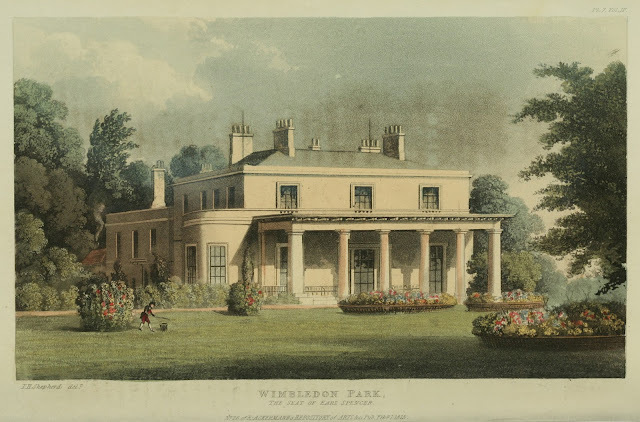 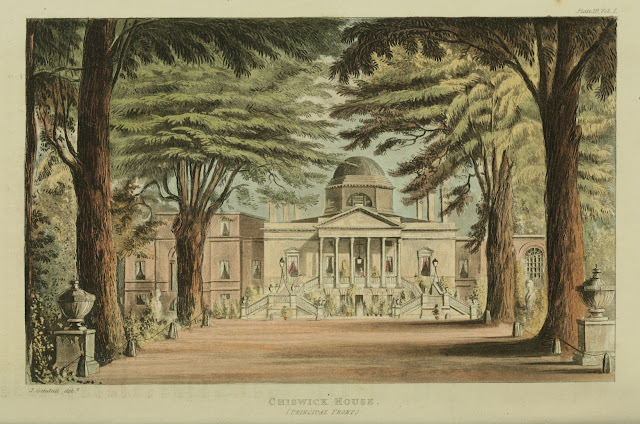 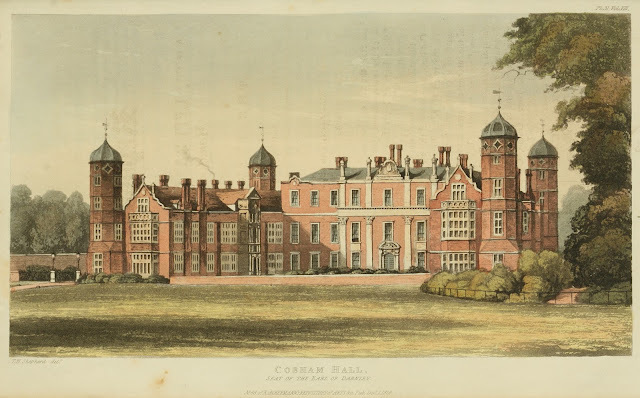 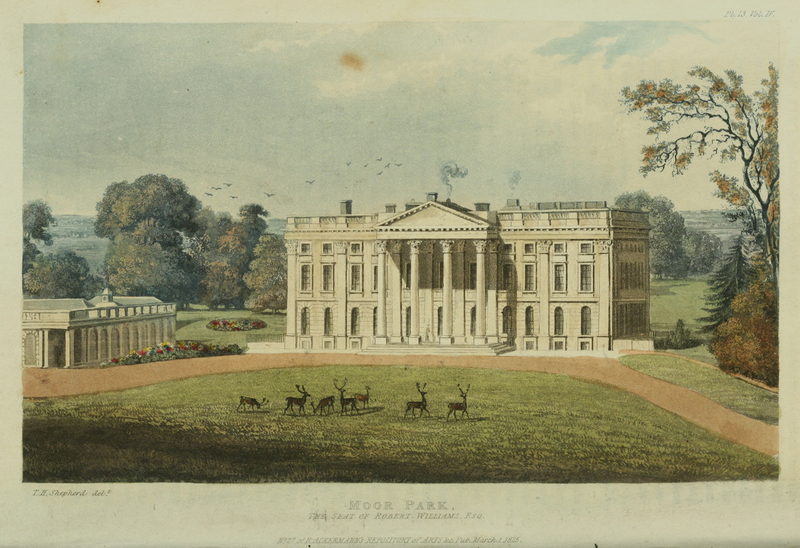 1825 Moor Park (Hertfordshire) - Seat of Robert Williams, Esq. 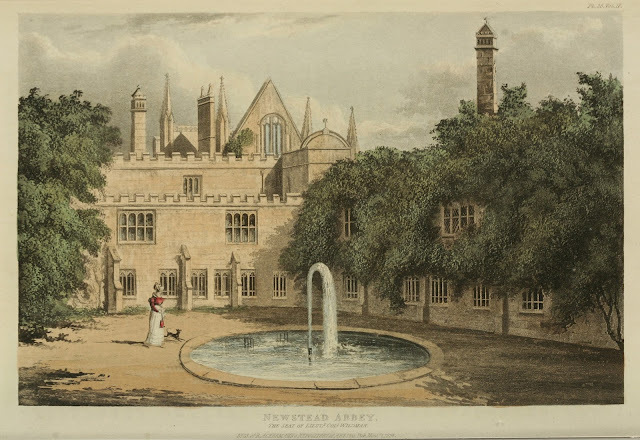 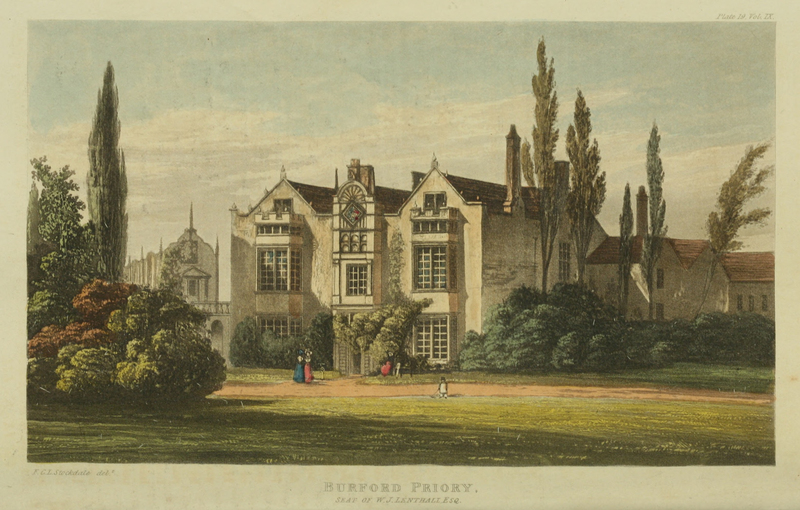 1827 Burford Priory (Oxfordshire) - Seat of J.W. 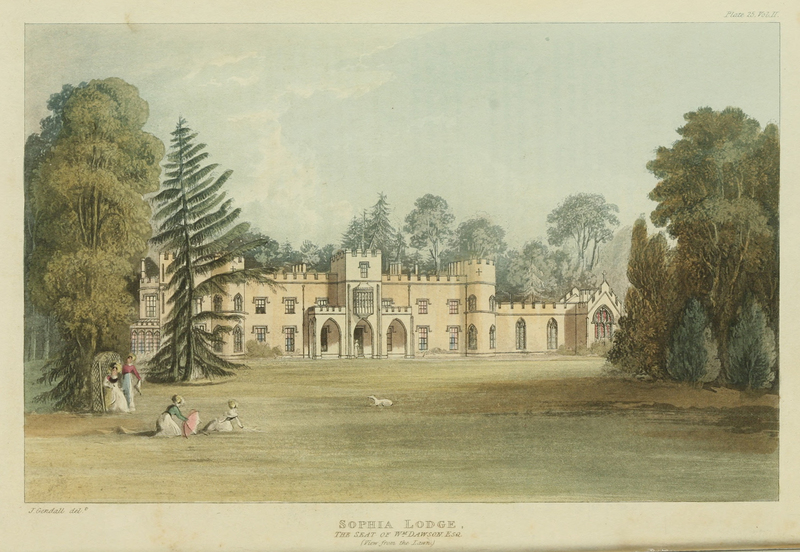 Lenthall, Esq. 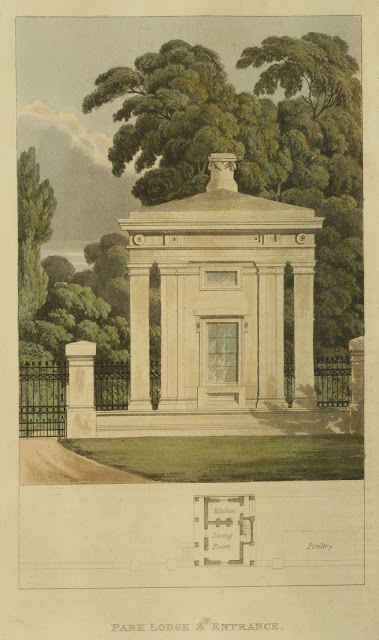 on the continent, this was one of those "special" cases. 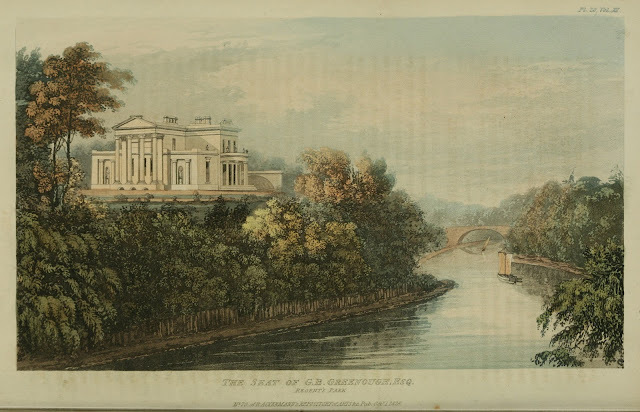 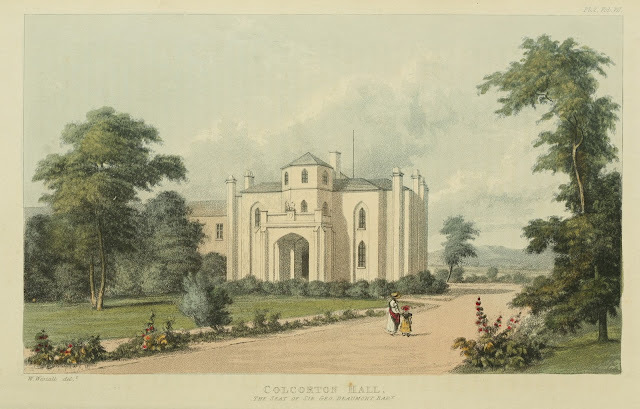 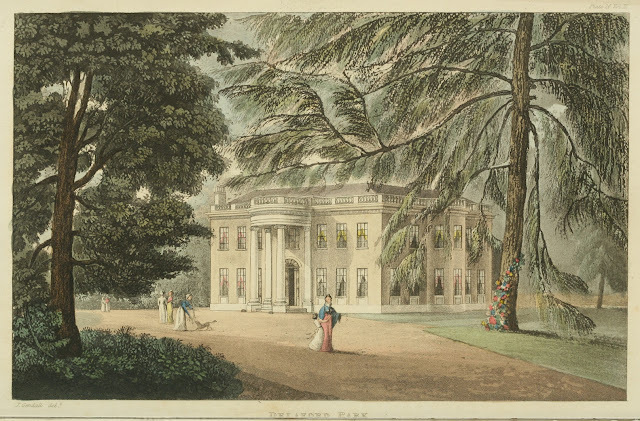 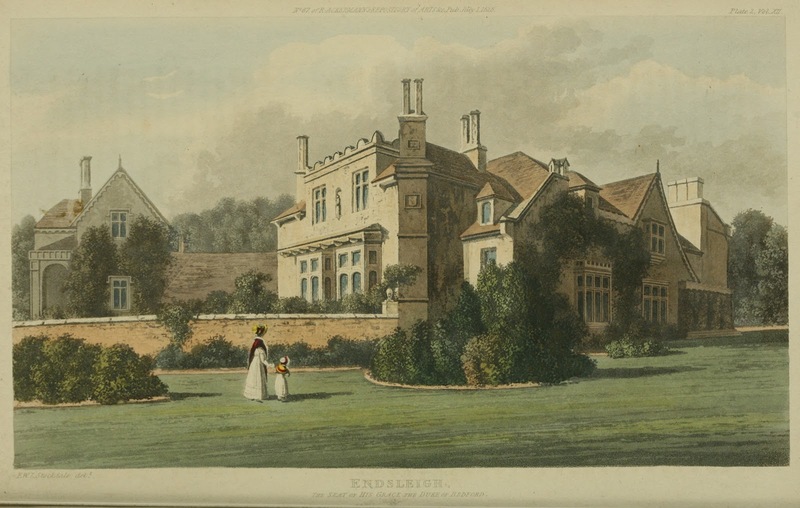 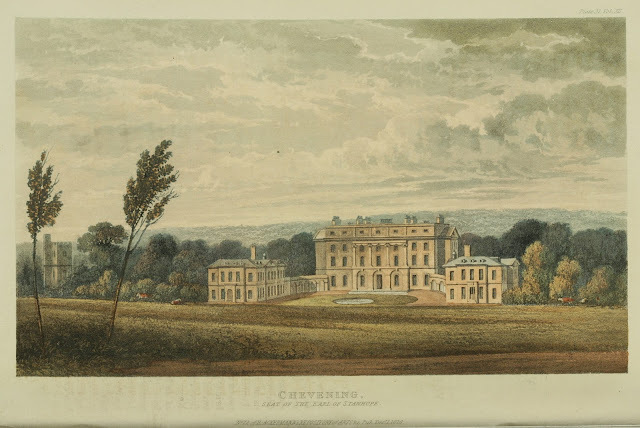 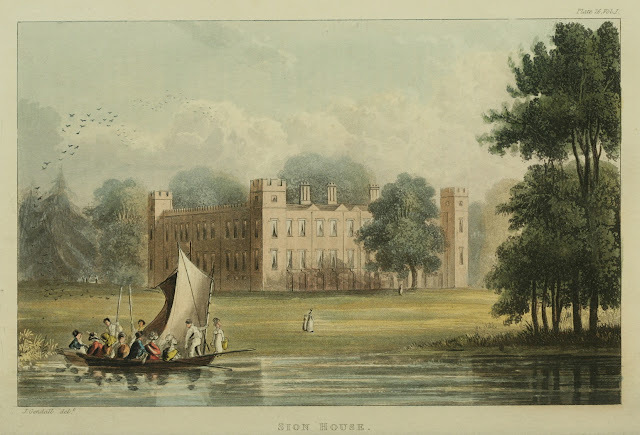 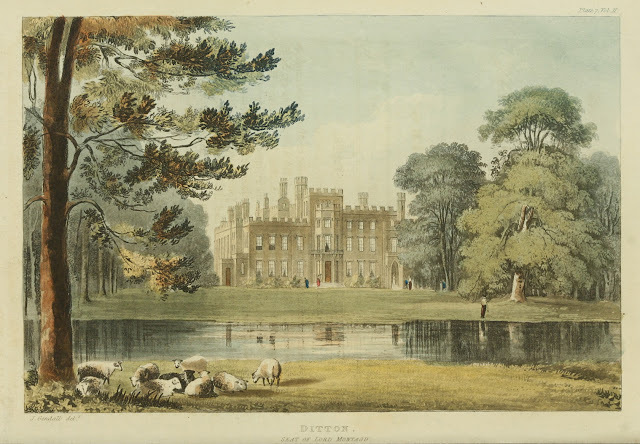 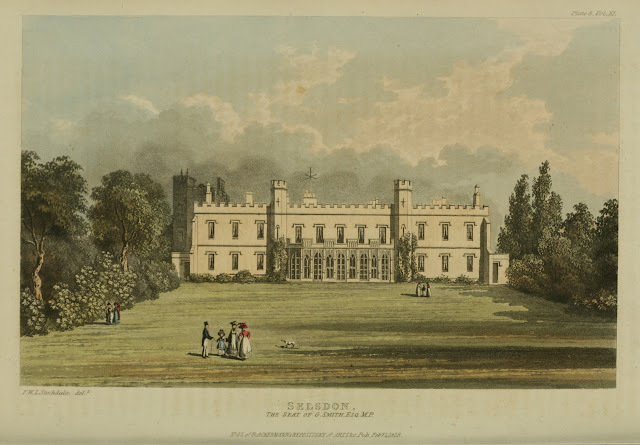 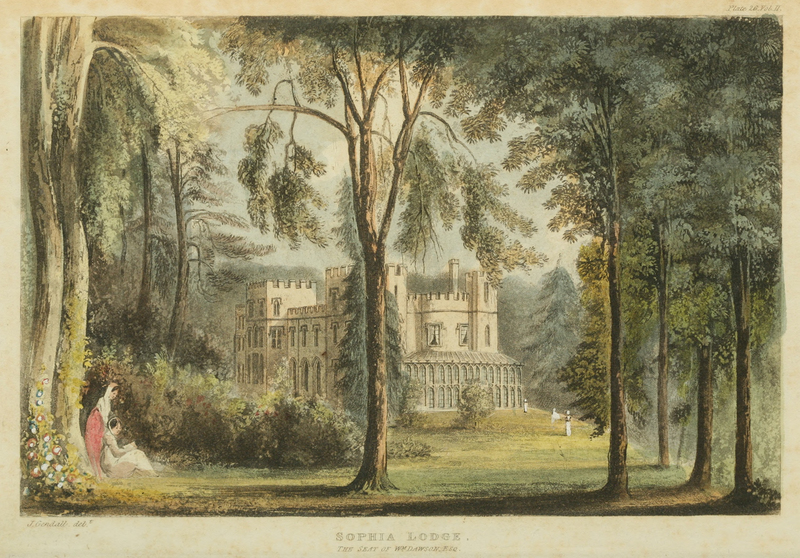 1828 Selsdon (Surrey) - Seat of George Smith, Esq. M.P. 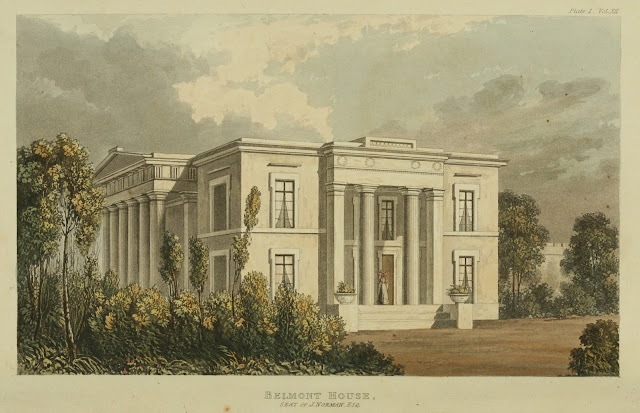 1828 Belmont House (Devon) - Seat of John Norman, Esq. 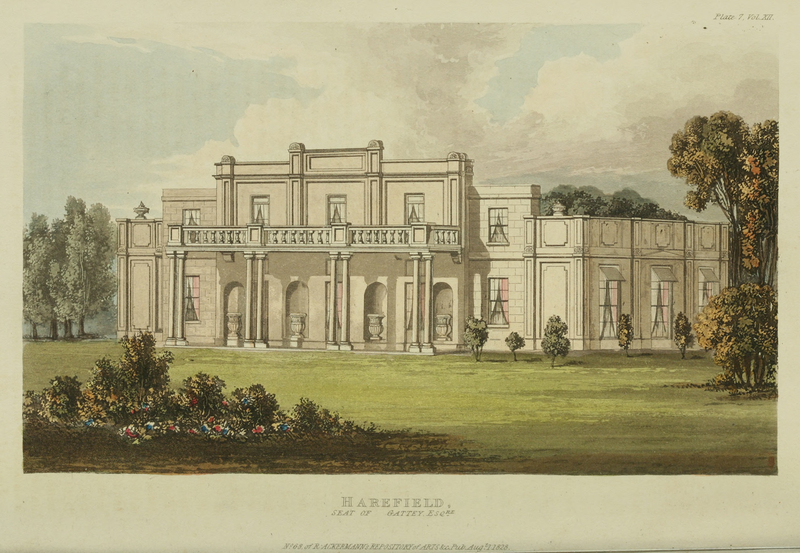 1828 Harefield (Devon) - Gattey, Esq. 1828 Luscombe (Devon) - Charles Hoare, Esq. 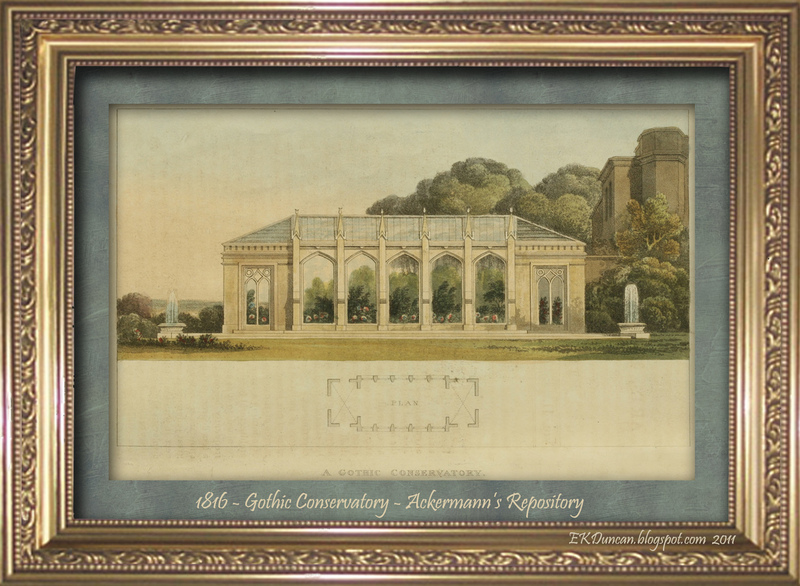 backdrop in a digital scene or can be used in a variety of crafting projects. 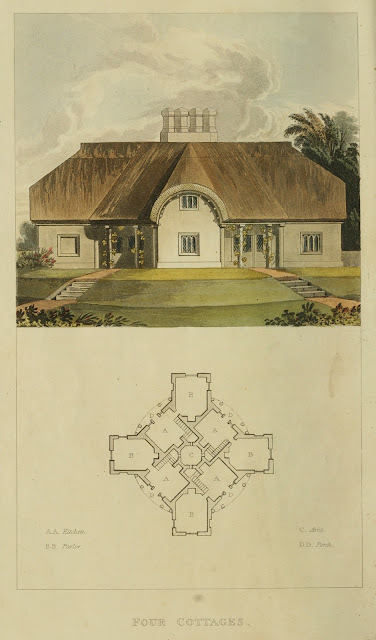 Thanks for joining me on my continuing series into Ackermann's Repository.